The MUTANTS form an unholy alliance with MUMM-RA and set forth to destroy the THUNDERCATS. 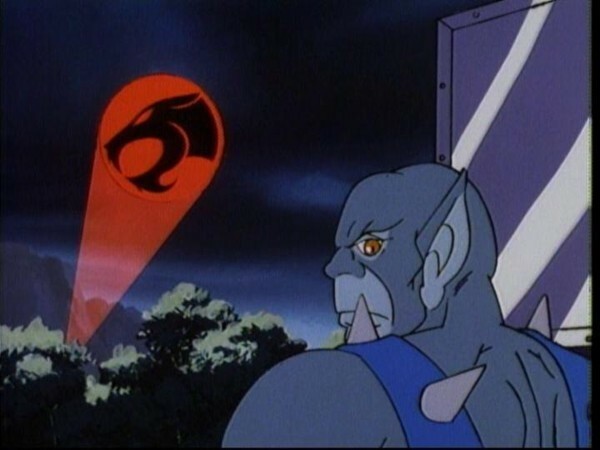 LION-O uses his mighty Sword of Omens for the first time as he lets loose with his thrilling call: “THUNDER-THUNDER-THUNDER THUNDERCATS … HO!” A beam of light streaks from the hilt of the sword and projects the image of the roaring cat in the sky for the others to see. The sword grows in length and strength as LION-O wins in his first encounter with MUMM-RA who has transformed himself into a fearsome warrior from another age. “Where evil exists, MUMM-RA lives”. Lion-O is taught to respect all life and that all living things have as much of a right to life as he does. Those who practice evil do not respect the rights of other creatures nor do they feel mutual obligations among each other. Often their evil has penetrated so deeply that they do not respect even themselves. Lion-O learns in this episode that evil’s worst enemy is its own unspeakable face. Growth in morality involves an understanding of reciprocity and equalitarianism. Rather than being self-centered and guided only by an orientation to punishment and obedience, children must be taught to consider the expectancies of others as well. This development is aided by recursive thinking, learning to view the relation of oneself and another from the point of view of the other (Flavell, 1968). FLAVELL, J. (1968). “The Development of Role-Taking and Communication Skills in Children.” New York: J. Wiley. 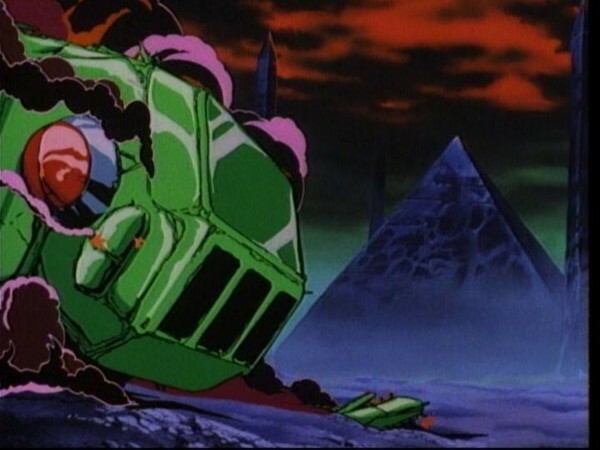 Along with “Exodus”, this episode is likely to have been watched by more ThunderCats fans than any other, firstly through its initial broadcast along with “Exodus” as an extended pilot, and also through its appearance as part of the famous “movie version” of the first four episodes. It goes without saying that this episode is notable for introducing the ThunderCats’ most long-standing villain, the demon priest Mumm-Ra, and one of the most commendable aspects of this episode is how memorably and impressively this is done. 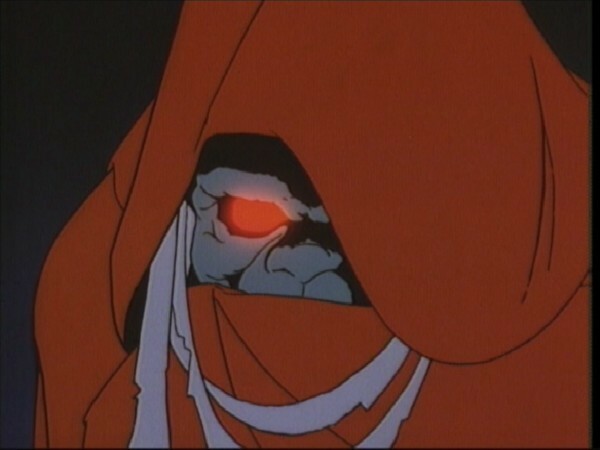 In Mumm-Ra, we are introduced to a villain who is both menacing and believable—menacing because of his softly spoken yet grandiose manner when he initially meets the Mutants (making his transformation into his ever-living form all the more jarring), and believable because of his portrayal. In some animated series from this period, there was a tendency to play the show’s main villains for comic relief, or to dilute the level of threat they posed to the show’s heroes, yet this is not done here. Whilst the ThunderCats continue to best the Mutants easily in battle, this feels as though it might just be through the natural physical superiority of the Thunderian species, rather than because “the good guys have to win”. Mumm-Ra is immediately established as a genuine and deadly threat, besting the inexperienced Lion-O in hand-to-hand combat and nearly destroying him, only to be warded off by his one weakness: repulsion at the sight of his own evil reflection! Another extremely well-handled element of this episode is the continued development of Lion-O. 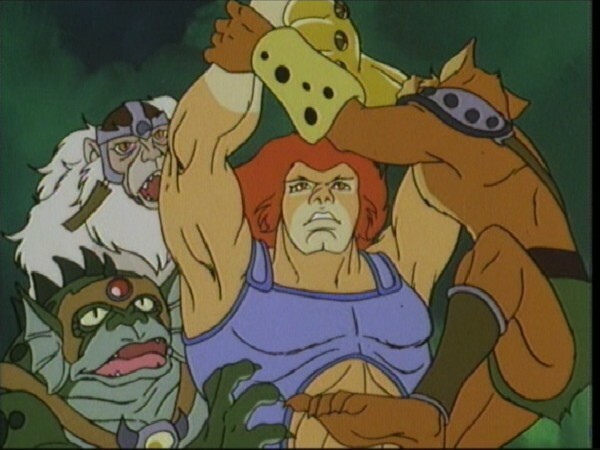 One of the central themes of the ThunderCats series is, of course, the early character development of Lion-O, which allows the writers to incorporate morals and life lessons into the episodes. To this end, in “The Unholy Alliance” we are seeing the adult Lion-O at his most immature, essentially a pre-adolescent boy in a grown man’s body. It was important to establish this in this episode, showing Lion-O’s immaturity yet at the same time not portraying him as dislikable for fear of turning the audience off of the series’ central character, and thus reducing the dramatic tension when he is attacked. 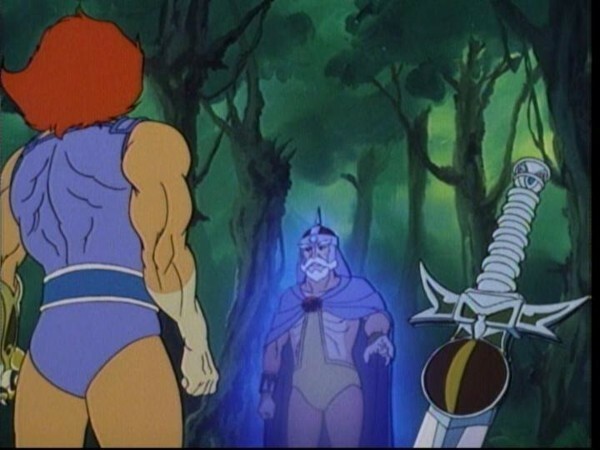 Writer Leonard Starr pulls this off beautifully, showing Lion-O excusing himself from assisting the others in heavy work so that he can go off and play in the woods, and then showing his impulsive desire to use the Sword of Omens to go hunting. This is not the only time in the episode that Leonard Starr showcases Lion-O’s negative side, also showing him to be full of pride (bordering on arrogance) in his title and thus reluctant to call on the aid of his friends. But at no point does the audience ever get the feeling that Lion-O is a bad character—rather, merely that he is immature and still developing into a man. All of these elements are handled to perfection. Like “Exodus”, once again this episode is full of mature and sometimes quite dark themes. The Mutants’ “deal with the devil” being one of the darkest and most sinister. Interestingly, when a storybook adaptation of this episode was released, the title was changed to “The Mutants’ Alliance”, perhaps because of the potentially satanic overtones of the former title! Despite this, the episode again follows the cue set down by “Exodus” and presents the mature and sometimes scary content in a way that is optimistic and uplifting, and this is one of the cleverest things about these two early episodes. 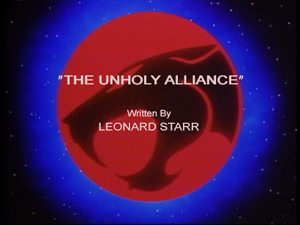 In short, this episode is a classic, and an essential early chapter in the ThunderCats saga! 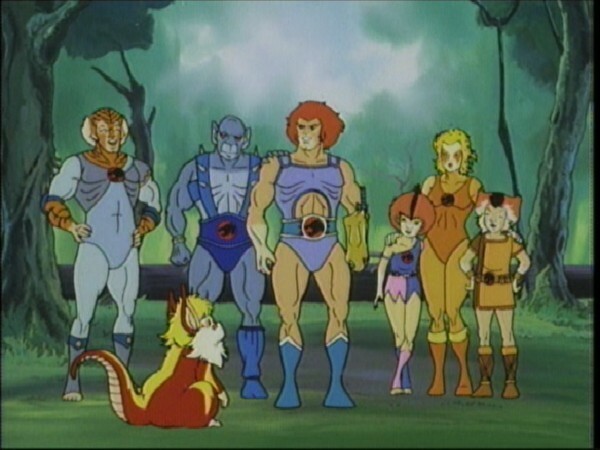 Like many early episodes of ThunderCats, this script was produced in 1984, with the episode itself debuting on US television early in 1985. 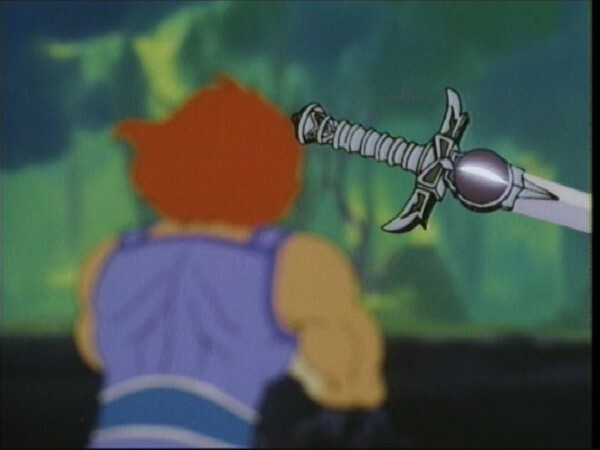 Rankin-Bass’ official synopsis for this episode states that during it Lion-O uses the Sword of Omens for the first time. 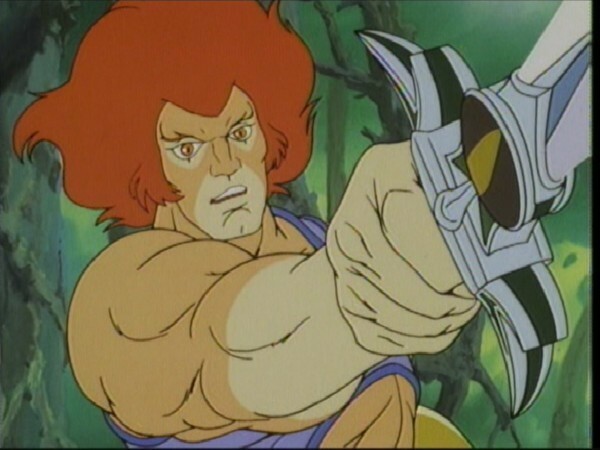 This is of course incorrect, as Lion-O first used the Sword to call on the other ThunderCats in the previous episode, “Exodus”. This is possibly an illustration of how intertwined the first two episodes of ThunderCats were in the minds of Rankin-Bass’ writers and production crew. Like the episode that precedes it, “The Unholy Alliance” was initially broadcast as part of a feature-length pilot, following “Exodus” and cut together to create a one-hour special. This special would be expanded still further, when what is commonly referred to by fans as the “movie version” of “Exodus” was released on home video. For that release, “Exodus” and “The Unholy Alliance” were joined by edited versions of the episodes “Berbils” and “The Slaves of Castle Plun-Darr”, all cut together to create a “movie version” of the first four episodes. 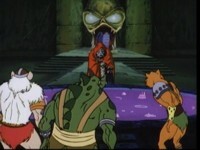 When this episode was released on home video as part of the “movie version” of “Exodus”, the two scenes following Mumm-Ra’s retreat were reversed. In the “movie”, Lion-O’s statement to the other ThunderCats that all he knows of Mumm-Ra is his name is immediately followed by his explanation as to what drove Mumm-Ra off. (This scene is also partially re-scored.) Likewise, Snarf’s closing line is then followed by the scene showing Mumm-Ra’s return to his pyramid. 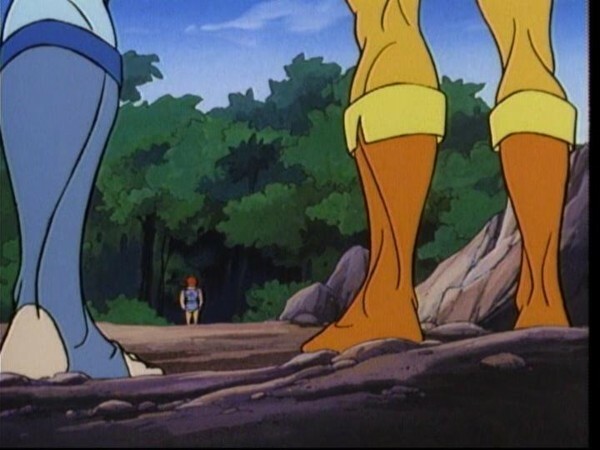 The scene that follows this in the “movie” is of Lion-O and Snarf exploring the jungle in the episode “Berbils”, and so it is possible that the scenes from “The Unholy Alliance” were reversed to make the transition from one episode into the other look more natural. 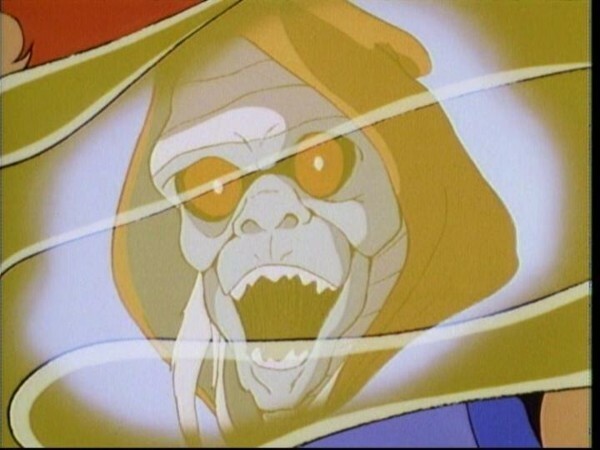 The stock footage of Mumm-Ra transforming from his mummy form to Mumm-Ra the Ever-Living originates in this episode. This footage would be reused regularly throughout the series Season 1. The name “Mumm-Ra” is a very authentic name for a character such as the ThunderCats’ main villain, who makes his debut in this episode. The sun god Ra was worshipped in ancient Egypt, and was later combined with the Theban god Amun to become known as “Amun-Ra”.